Your membership in the Greater Oklahoma City Chamber is an investment in a greater Oklahoma City. When you become a member of the Chamber, you join more than 4,000 other companies as part of the state's largest coalition of businesses. Together, we work to foster growth in the Oklahoma City economy, creating a better business climate and a higher quality of life. Connections – There’s no better way to connect with the Oklahoma City business community than membership in the Greater Oklahoma City Chamber. Our events bring together OKC’s top business leaders and legislators, providing members exclusive networking opportunities. Advocacy - As the voice of Oklahoma City business in the halls of government, the Greater Oklahoma City Chamber is committed to promoting legislation that will improve our business community and positively impact Oklahoma’s growing economy. As a member, you’ll be directly supporting these efforts while being kept up-to-date with the issues that matter most to your business. Economic Development - The Greater Oklahoma City Chamber leads economic development efforts for Oklahoma City and surrounding communities, including recruiting new businesses, helping existing businesses expand and encouraging entrepreneurship. Strengthening the Greater Oklahoma City’s business community means more opportunities for all. Exposure – All Greater Oklahoma City Chamber members receive a welcome listing in The POINT newsletter and on our website. 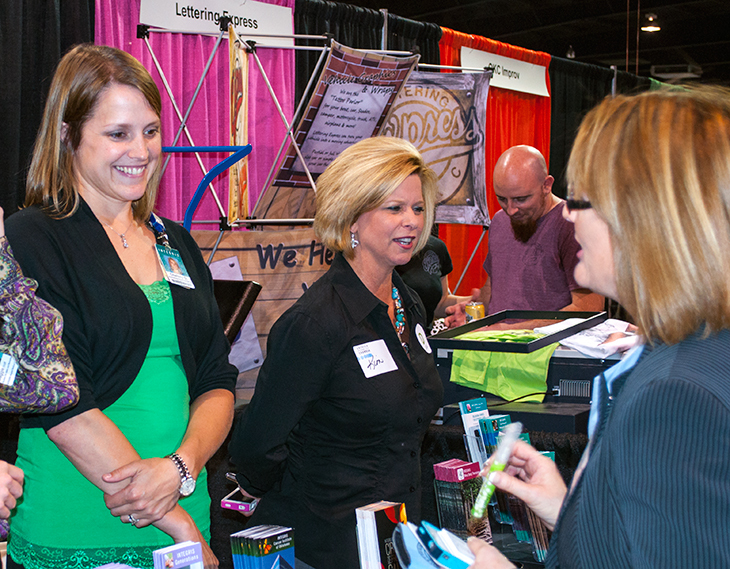 Members also have unique opportunities to promote their businesses at Chamber events, in Chamber publications, with discounts, and through online promotional opportunities. And ribbon-cutting ceremonies for new locations, expansions or renovations are another great member benefit. Education – Our informational events, monthly newsletters, legislative updates, and other publications help keep members up-to-speed with business issues in Oklahoma City. For more than 125 years, the Greater Oklahoma City Chamber has been the driving force behind the growth of the Oklahoma City region. As a member, you are an important part of that mission, and through your Chamber membership, we can accomplish much more together than we can alone. Your Chamber membership is the best investment you can make in the success of your businesses. Starting in 2018, the Chamber will launch new membership levels and member benefits that will help you reach more of your goals, whether it is through additional visibility and branding, more direct contact with other members, advocacy for your business or information to help your business grow. In the next few issues of The POINT!, you will learn more about the new membership levels, enhanced benefits and ways to deepen your engagement with the Chamber. Your investment in the Chamber is making a difference in Oklahoma City and in the success of your business. Make a bigger impact in both areas by increasing your membership level today! For more information on Chamber membership, please e-mail membership@okcchamber.com or contact a member of our Membership staff. Business University Newsletter sponsored by Arvest Bank.